This one really divides people. 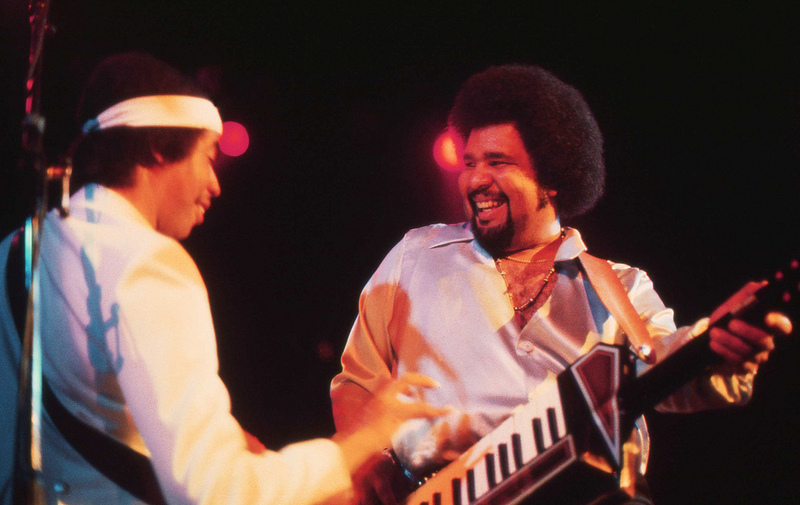 The Stanley Clarke/George Duke Project could and should have been a lot better given the talent involved and their track record. But it shouldn’t be judged by jazz standards – by the early ’80s, these two protagonists of ‘fusion’ realised that jazz/rock had hit a massive dead end. A fresh approach was called for. Earth, Wind & Fire’s effortless blending of funk, soul, disco, jazz, Latin and rock seemed to offer a new direction to all kinds of musicians, including Clarke and Duke. So, leaving any kind of jazz credibility at the door, our heroes embraced their inner George Clintons, Frank Zappas and Stephen Bishops to make a really weird but occasionally enjoyable album of funk, disco, AOR and cheesy soul balladry (it’s surely up there in the ‘least classifiable albums of the ’80s’ list). In short, this was Stanley and George’s Tin Machine – you were either for or against. My schoolfriend Seb and I were (and are) huge Stanley fans, but even we eyed this with some trepidation when we came across it around 1989. It had a pretty dodgy reputation even by ’80s Stanley standards. It’s certainly neither artists’ best work, but it’s worth a listen. So, straight in at the deep end. It’s fair to say that most John Coltrane and Dexter Gordon fans will struggle with the ‘Louie Louie’ cover… But it’s fun – Clarke and Duke deliver great solos and the vocal jiving is good value. Clarke’s ‘I Just Want To Love You’ is a minor disco/soul classic with a great bassline (later appropriated for Kylie’s ‘Spinning Around’). ‘Touch And Go’ is very pretty in a post-‘Sailing’ kind of way while the vapid ‘Sweet Baby’ miraculously delivered a big US hit (#19). The closing ‘Find A Way’ is effective and quite unique in its way, a kind of pomp-funk/rock epic with a cool descending bridge and interesting structure. JR Robinson’s ultra-solid, ultra-dry drums are very high in the mix and sometimes feel like they need a bit of air. Clarke impresses with a huge range of basses, guitars, sitars and cellos (and some very Santana-ish Piccolo lead bass playing) while Duke sticks mostly to squelchy synth basslines, acoustic piano and an occasional bit of trademark Mini Moog. The album sounds very stripped back to modern ears and has a slightly ‘demo’ feel to it, but it was a big hit. Two further collaborations followed, lasting into the early ’90s. One thing’s for sure – Stanley and George were great friends until the latter’s death in 2013, and you can really hear it in the music they made together. This entry was posted in 1981, Album Reviews, Clarke/Duke Project, Funk, Fusion, Pop, Soul and tagged clarkedukeproject, earthwind&fire, georgeduke, johnrobinson, stanleyclarke. Bookmark the permalink. For two such terrific musicians, the Clarke-Duke albums somehow always fall short, don’t they. I like the Tin Machine comparison though Stanley and George were aiming for for the funk mainstream that Dave’s boys perhaps. Yes, exactly, always a slightly underwhelming proposition when these two got together for some reason. I didn’t mean to suggest that Tin Machine were some kind of funk band, just that Clarke/Duke were to fusion what Tin Machine were to Bowie’s solo career – ie. controversial!